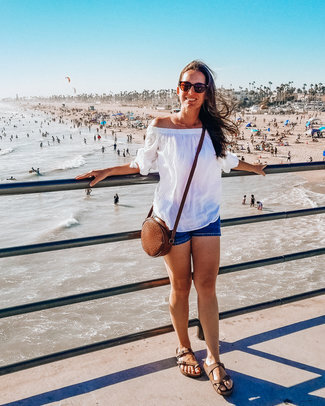 I created this Southern California Bucket List Challenge to give you some really cool ideas of things to do, whether you already live in the area or you’re just visiting. SoCal has a TON of things to see and do, and most of them are within a two-hour radius. As someone who was not born and raised in California, everything is new to me, so I have been trying to discover all of the amazing things to see and do ever since I moved to Orange County. This list includes 50 things to do in Southern California, including Los Angeles, Orange County, San Diego, Palm Springs, and more. I challenge you to complete some of these activities along with me and share your adventures on Instagram using the hashtag #socalbucketlistchallenge! Have fun! You can download your free Southern California Bucket List printable here. I’m so excited to continue checking these things off my list and share them with you! How many of these things have you already completed? Which one is on the top of your Southern California Bucket List? Click here to download your free Southern California Bucket List printable! Yes yes yes! I have always wanted to visit LA and San Diego! And you just made the list for me. We might go there this summer to attend an event, so these bucket list ideas will come in handy. Easy to plan our trip! Yay!! If you can, stop through Orange County…it’s so pretty and so many people overlook it! This is exactly my goal…to give you a master list of things to do! Have fun!! This is such a fun list! I’ve not been back to southern California for a long time, so now I have plenty of things to do when I visit. Hi Lisa! I’m so happy you enjoy it! I hope you get to check off a few more adventures on your next trip! I am so happy to help, enjoy your trip! Thank you! Another SoCal girl here too, and I’ve done almost all on your list! Haven’t done OC’s grand canyon though, so that will be next! I’m glad I am able to give you some SoCal travel inspiration! Thank you so much for your kind comment! I still need to grab a picture of the Hollywood sign. I think that’s the last thing on my list. Usually that’s the very first thing people want to do when they visit LA! I have a few with the sign, but I still need to go back and do the hike that takes you up behind the sign. Hope you get there soon! I’ve been to LA but only hit 2 of the items on your list. Guess I need to head back soon! Oh no! What 2 things did you do while you were there? Definitely, come back for another visit! So much more to do! I have done 6 of these items!!! Well, 7 if you count the SD zoo and Balboa separately since they were two different days! I like your way of splitting California and adding different things to do for every county. Never been to the States yet so I do not know what I would choose to visit my first time! However, I think hiking Hollywood sign, riding the orange balloon and watching sea lions are my top 3! Hi Val! I know, it’s so hard to choose what to do during your first trip somewhere! I think you chose some really great options, I love all 3 and, they are cheap or even free! Can’t get any better than that! A great list with lots to do. I visited a few years back – Old Towne, Orange County was the most memorable, followed by Venice Beach and the Light show at Disney Land. I crossed a few off your list on my last visit but looks like I’ll have to return now 🙂 Thx for the inspiration. These are fantastic lists to check off when visiting California. I’ve been to some of the places you are quoting – and I’m looking very much forward to explore those I don’t know yet. What an awesome list of things to do! I will be planning a roadtrip in Cali soon and this will definitely come in handy! Hi Heather!! A California road trip?! That’s the best! So many things to see along the way. Have a great time!! Awesome list. I lived in Napa valley and loved Cali. I didn’t go or see half of the list but definitely would next time I visit. Hi John! Who wouldn’t love to live in Napa, it looks so beautiful! Hope you make your way to SoCal one day! Hi there! I'm Heather, and I started this blog to share my California travel experiences with you. I moved to Orange County in 2015 and have been exploring as much as I can ever since. You might also find me exploring around Mexico too! I absolutely love outdoor adventures, and some of my favorite activities include hiking, mountain biking, yoga, and of course, heading to the beach! Read more about my story here. I OCCASIONALLY USE AFFILIATE LINKS, AND PURCHASES MADE THROUGH SUCH LINKS COULD RESULT IN A SMALL COMMISSION FOR ME, AT NO EXTRA COST TO YOU. AS AN AMAZON ASSOCIATE I EARN FROM QUALIFYING PURCHASES. I ONLY RECOMMEND PRODUCTS AND SERVICES THAT I KNOW AND LOVE, AND YOUR PURCHASE HELPS ME KEEP THIS BLOG RUNNING.